Sint Jacobsmarkt 91-93, 2000 Antwerp, Belgium. 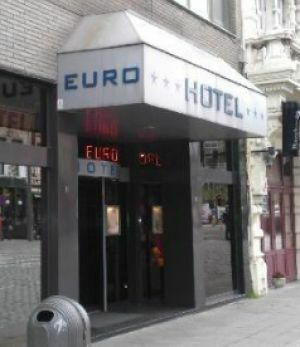 Small,cosy city hotel,with spacious airconditioned rooms. A warm,friendly welcome. Near trainstation, Near to the university, Centre, Near subway / tramstation, Near shopping centre. Children less than 18 years and more than 12 year(s) old: 18.00 € for each additional bed. For older children and adults 31.00 € for each additional bed is charged. 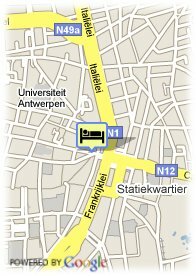 in the very centre,500 m.from the Central Station and the "Brussels Airlines" bus,10 min.on foot to the old town - near the main shopping street "Meir".